I can't afford my medications. What can I do? Are patient assistance programs free? What other material will I need to provide besides the enrollment form? Will having Medicare Part D disqualify me from eligiblity? What are drug discount cards and how are they used? Can I use drug discount cards even if I have insurance? What are active and passive vaccination? What are some contraindications to vaccinations? Also known as PAPs, Patient Assistance Programs are services offered by private and public companies for those who cannot afford their medication. Patient assistance programs are available to low-income individuals or families who are under-insured or uninsured and are provided to those who meet the eligibility requirements. Assistance can range from reduced cost of drugs to free medicine. Depends. Some programs are tailored for children, while others are geared towards pregnant women or families. Whatever your criteria is, you should find a program suitable for you. Go here and visit the associated program's website for updated information and eligibility requirements. While some programs require a fee, some companies send coupons or vouchers that the patient turns in to the pharmacy to receive their medication at no cost. Again, read the documentation on the program's site to find out any updated information and current medication list. interest income, pension, or annuity statement; or current employee check stubs for all employers. Most patient assistance programs disqualify all those eligible for the full low income subsidy through Medicare Part D. If you do not qualify for the full low income subsidy, you should attach documentation from Social Security stating that you are ineligible, to your enrollment form. Please keep in mind that this information varies greatly between different companies and is subject to change without notice. If the profile for the assistance program in our database states that you are disqualified for having Medicare Part D, we will notify you. At this point, it is recommended that you contact the company directly to request your case be further reviewed. It is not uncommon for exceptions to be made for those facing financial difficulties. Discount cards are cards that help people recieve discounts but are not part of any specific insurance program. They usually do not require any information and simply act as a coupon so they have major benifits accociated with them. A list of drug discount card programs by state can be found here. Generally "yes". Only if your contract of insurance excludes out of "network purchases" would a purchase not be covered. So please refer to the contract of insurance and read the exclusions. 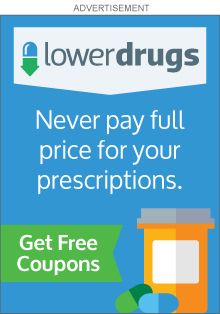 Drug discount cards can produce big discounts on generic drugs, up to 75% on some scripts. After you have satisfied the out of pocket payments of deductibles, your insurance policy should pick up the charges, but you must supply proof of expenses paid for the prescriptions. This also applys to name brand and mail order prescriptions. Generally speaking your insurance vendor or PBM should have a prescription claim form that would be signed, completed, and submitted by mail from the insured to the insurance company. These claim forms are used for covered members who have lost there drug discount card or forgotten their cards when they have purchased prescription drugs. The insurance vendor is usually obligated by contract to pay the covered percentage. Not every brand-name drug has a generic drug. When new drugs are first made they have drug patents. Most drug patents are protected for 20 years. The patent, which protects the company that made the drug first, doesn't allow anyone else to make and sell the drug. When the patent expires, other drug companies can start selling a generic version of the drug. But, first, they must test the drug and the FDA must approve it. Yes. A generic drug is the same as a brand-name drug in the way it works, the way it is taken and the way it should be used. Creating a drug costs lots of money. Since generic drug makers do not develop a drug from scratch, the costs to bring the drug to market are less; therefore, generic drugs are usually less expensive than brand-name drugs. But, generic drug makers must show that their product performs in the same way as the brand-name drug. Yes. The FDA requires generic drugs have the same high quality, strength, purity and stability as brand-name drugs as well as the equivalence in dosage and safety issues. The basic principle of vaccination is that a disease-causing agent is given to a person in a killed or weakened form (or in the form of proteins genetically engineered to look like a disease-causing agent), in order to stimulate the production of antibodies to fight off the disease. Active immunization involves trying to stimulate antibodies by giving a person a killed or weakened form of a disease-causing agent. Passive immunization involves giving a person antibodies from someone who was infected with the disease (these are called gamma globulins). Passive immunization doesn't last very long, but can be useful for someone who expects to be exposed to a disease (e.g. someone travelling to another country who takes hepatitis A gamma globulin right before leaving), or to someone who has just been exposed to a disease. Most of the vaccinations discussed in this FAQ fall under the active vaccination category. Contraindications vary with the vaccine, so contraindications for each specific vaccine are given in the appropriate sections. Some common ones are: allergy to some substance contained in the vaccine (such as eggs or thimerosal, a preservative used in some vaccines), a weakened immune system (which may make attenuated live vaccines more risky), and pregnancy. The allergies to worry about, in particular, are those with an anaphylactic or anaphylactoid reaction, e.g. hives, swelling of mouth and throat, difficulty breathing, hypotension, or shock.